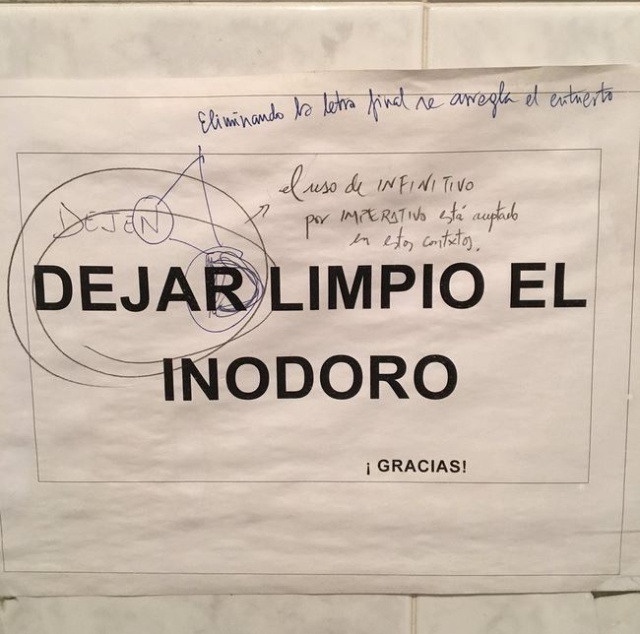 Reader Alice B. shared with me a decorous linguistic debate conducted on the wall of a toilet stall in Sevilla. The sign that sparked the debate, complete with its series of scribbled-on comments, is shown below. This article (in Spanish) discusses the debate at length, and includes various tweets that it inspired. The original sign, which translates roughly as ‘Please leave the toilet clean’, used the infinitive dejar ‘to leave’. This is equivalent to the frequent use of the English -ing form as a command (e.g. No smoking). Someone changed the final -r to a -d to create the informal plural command form dejad. Someone else then changed this to the formal plural command dejen. Someone else suggested leaving off the final consonant of either command form to create the singular command deja (informal) or deje (formal). Along the way, someone pointed out that infinitives are an acceptable alternative to command forms in contexts such as this one. I love Spanish! Can you think of any aspect of English grammar that would inspire a similar series of emendations and comments? This entry was posted in Verbs and tagged imperativos, infinitive as command, mandatos, Spanish commands on 18 December, 2017 by jhochberg. I used boldface for the subjunctive box and the lines leading into it in order to emphasize that in most cases, the command form is just the subjunctive. 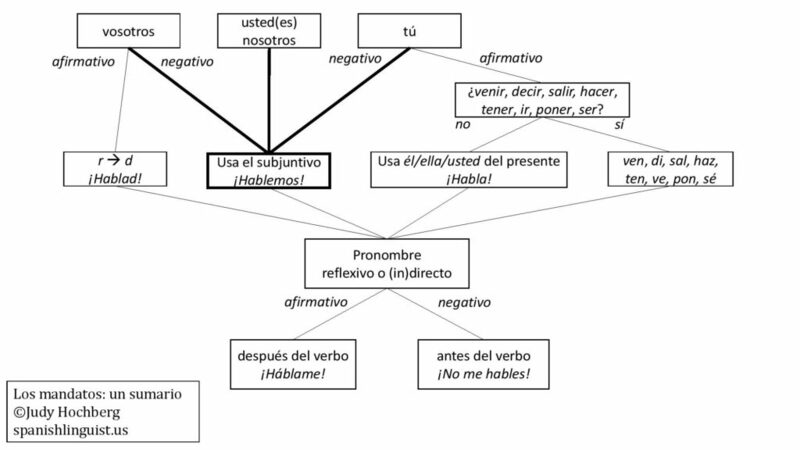 the irregular affirmative vosotros command idos (for ir). 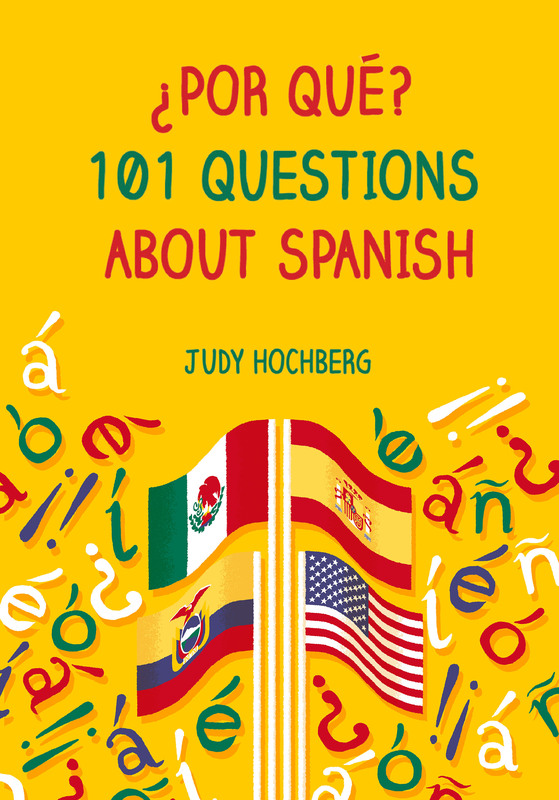 The accent marks usually needed when a pronoun is added simply follow the regular rules for Spanish. That’s why you see one on háblame ‘talk to me’ (same stress pattern as e.g. teléfono) but not on dime ‘tell me’ (same stress pattern as cine). This entry was posted in Verbs and tagged affirmative, commands, formal commands, imperativos, informal commands, mandatos, negative, Spanish on 26 October, 2017 by jhochberg.